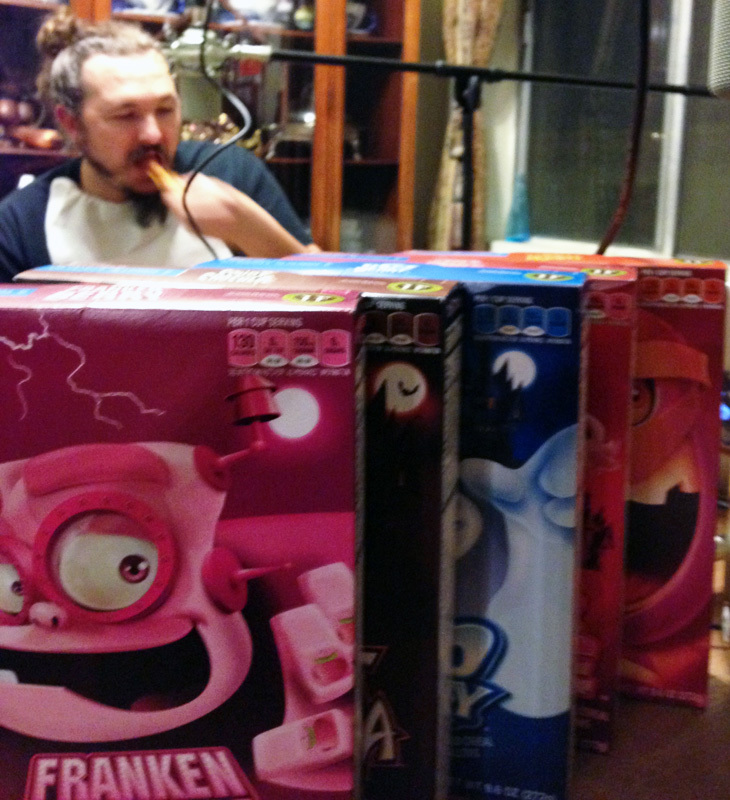 Episode 44: Spooky Cereals and Halloween Tales — The League of S.T.E.A.M. Once again it's our favorite time of year. Halloween season, of course! Nick, Glenn, Russ and Andrew convene to commune with the dark powers. By dark powers, I mean breakfast cereals, and by commune I mean eat. General Mills has issued for this Halloween season the it full line of spooky sugary cereals: Fruit Brute, Yummy Mummy, Boo Berry, FrankenBerry and Count Chocula! Suitably fortified with several times the daily recommended allotment of vitamins and minerals, we tell tales of Halloweens gone by.